We leave yearning for adventure; we return seeking the comfort of home. I wanted to design a modern house that’s also different from what’s been done with Lego. 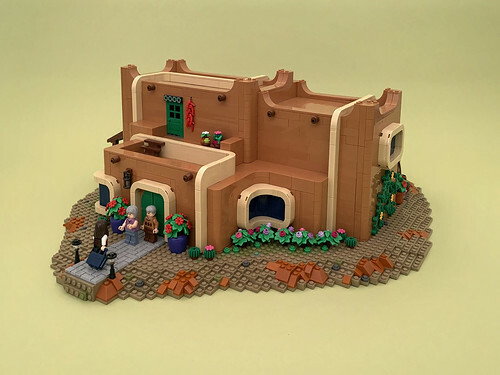 The result is this adobe home built in the steamline art deco style. The curved windows really put my buildings skills to the test, making sure all the edges lined up perfectly. I hope you enjoy this slice of southwest charm.